Sports massage is a combination of deep massage techniques that are very effective at loosening up tight or restricted areas within the muscles, tendons and superficial ligaments. It is referred to as ‘sports massage’ because this technique is favoured by top level sports people on an ongoing basis as part of their training and competition, but sports massage is equally beneficial to ordinary people who have varying degrees of aches and pains. What length of appointment should I choose? Our most popular treatment is the 30 minutes sports massage, but if you have more time, the 45 minutes and 60 minutes sports massage treatments are the best value and they allow more time to go over everything more which results in the muscles having a more relaxed feel at the end of the session. How successful is a Sports Massage? It is often successful where other forms of treatment have failed. During treatment there is tenderness in areas that are being treated, it indicates which muscles and tendons are injured. The therapist uses the patient’s feedback to pinpoint the damaged tissue and to regulate pressure. The results are usually immediate; certainly within 3 sessions a big improvement will be seen with a skillful practitioner. Most patients feel a difference after 1 session. A recent injury, perhaps within weeks, will react and recover more quickly than a long-term injury, some up to 40 years. However they will all see improvement. With many years’ experience the practitioner gains a clear understanding of treating sports and traumatic injuries. They will work with patients while they increase their activity levels back to normal once again. It is remarkable in that patients find themselves spontaneously being able to do things they thought that they couldn’t. Tell me a little more..
Sports Massage is a type of massage that is used to work on athletes of all levels of training from the weekend warrior to professional sports teams. People who do sports massage can be professional massage therapists or some athletic trainers may also do sports massage if it is allowed in their insurance. Sports massage is not a specific technique, but applying whatever type of massage that you know to athletes. It requires extra training in anatomy and physiology as well as working with injuries. A sports massage therapist will need to have an understanding of how the body moves and works during the many sporting events. 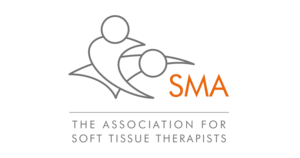 What is a Remedial Massage Therapy? Remedial massage is a deep massage done to create the conditions for the body’s return to normal health after injury. It is used to treat strains, sprains, broken bones, bruising or any injury where the skin is intact. Deep tissue massage removes blockages, damaged cells, scar tissue and adhesions left after injury, speeds up recovery and encourages more complete healing. Remedial massage is also used for conditions created by lifestyle, for example, repetitive strain injury and back pain. It is designed to increase the flow of blood and lymph, particularly in the injured areas.